Gospel musicians aren't selling out arenas in the same way acts like Beyoncé would, but that isn't stopping Fred Hammond from doing all he can to try. On the heels of releasing his latest album, Worship Journal Live, the veteran gospel music singer-songwriter and producer has rounded up some of the biggest voices in the industry for the third installment of his Festival of Praise tour. On the tour currently sweeping the nation, Karen Clark Sheard, Regina Belle and new face Casey J have joined Hammond and familiar faces Hezekiah Walker and Israel Houghton to spread the message of God through song. "It's a great cast to work with. Last year we had a great time, the year before that Donnie McClurkin and I had a great time," Hammond told The Christian Post. "But each year we keep getting blessed with great people to work with. I love it, it's just a good eclectic mix and understands what it takes." While audiences watching the powerhouse musicians worship God together on stage might believe the performances came together effortlessly, Hammond told CP that forming a gospel tour takes a great deal of faith. "Gospel music has taken a turn and not in the flourishing direction. It's taken a turn kind of headed toward a drought," he told CP. "When you put a 52 city tour together, you have some moments where promoters are a little discouraged from doing things with gospel music because you can't get the sales. It makes sense on paper, you think you can get it done, and then you you don't get support from the audience or from the buying public." These types of difficulties have resulted in Hammond and his team having to make tough decisions about which cities to keep on the tour and which cities might not be feasible to visit. For gospel musicians like Hammond, it can be risky to rely solely on interviews with no real guarantee for audiences to support his ministry on tour. Instead of getting discouraged by the challenges that can come with promoting his own reality show, Hammond has thought outside of the box by directing his own reality television show online. 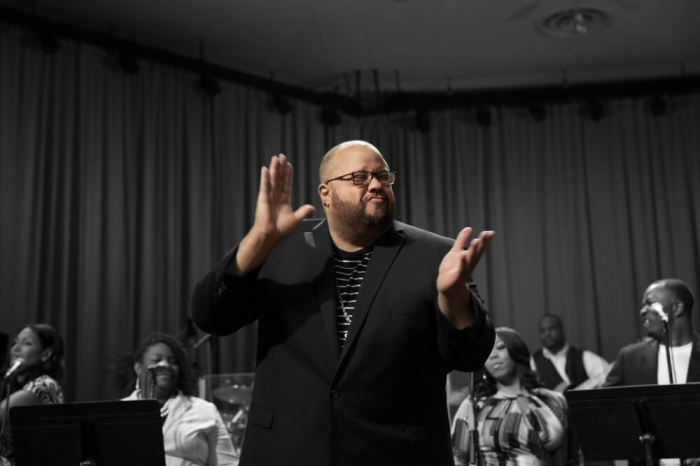 The musician could have waited until a television network saw the value in his show, "That's My Reality," but he decided to get his own equipment and direct his own program that showcases behinds the scenes moments prepping for the Festival of Praise tour. "It was a good marketing tool for the tour to see what's going on. I don't have time to wait for people to pick me up," he said. "Just because they say no, that doesn't mean I don't have to do it. I can buy my own equipment, I direct my own stuff, I make it funny and I put it online. This is in the age of social media. You don't have to wait on a network." For mainstream stars like Beyoncé, promotional tactics for touring seem to be less difficult. Hammond believes one reason this happens is because the secular music industry has more audience interaction than many gospel music shows. "When Beyoncé came to town for $200 a ticket minimum, no one had to hear her say, 'hey everybody, I want you to come to my concert.' They just said she's coming to town and people went and got their tickets," he said. "There is an art that the world captures that the Body does not capture, especially in entertainment. What the secular industry does ... the audience is as fun as what you see on the stage." The veteran gospel musician went on to describe how both women and men dress up in their best outfits, looking to mingle with one another at mainstream music concerts. However, many Christian music shows don't provide the same experience. "At a gospel concert you come, you sit down, you watch what's going on stage. There's really no interaction," he said. "There's people saying, 'hey, bye and then they leave.'" However, Hammond is looking to change that with his Festival of Praise tour. "We try to figure out how can we create this interaction, because if not we won't have anything left," Hammond said. "You must make the stage as impactful as possible. That's what the Festival of Praise is, that's what the record is about. It's to make the stage impactful to almost shock you at times." The powerhouse voice said he wants people to be shocked with things that are said by the musicians on tour and songs that they perform. According to the veteran who has been a huge part of the industry's evolution, the regularly scheduled program of just singing to an audience is no longer enough. "People are tired of a song. They need more than a song," he said. "You have to bundle something together and make it exciting. Unless you figure out how to do that, you're going to miss it. Festival of Praise is doing that." 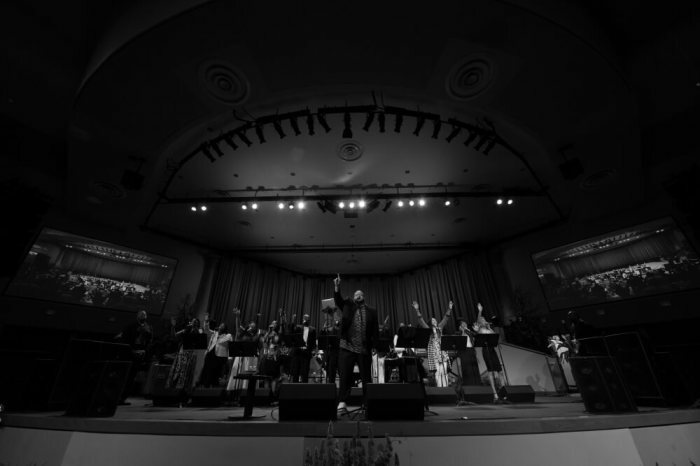 While some people believe they can get the same experience when these artists visit churches to worship throughout the year, Hammond has worked hard to elevate his tour experience. "This is the one you want to bring the person that skipped church, the person who says, 'I don't know if I need the Lord," he told CP. "This is the one you want to bring people to." For Hammond, it's important to be transparent in his messages both on and off the stage so that he can bring inspiration to those in need. "That's what people are needing, this is our message. If we talk about how great we are, how good, what we have is to sell and buy this, where's the beauty in that," he said. "The Bible shows the good, the bad, the ugly the horrible the great, the victorious, and I think that's what we kind of have to do as well." For more information about the Festival of Praise tour, please visit Festival of Praise.